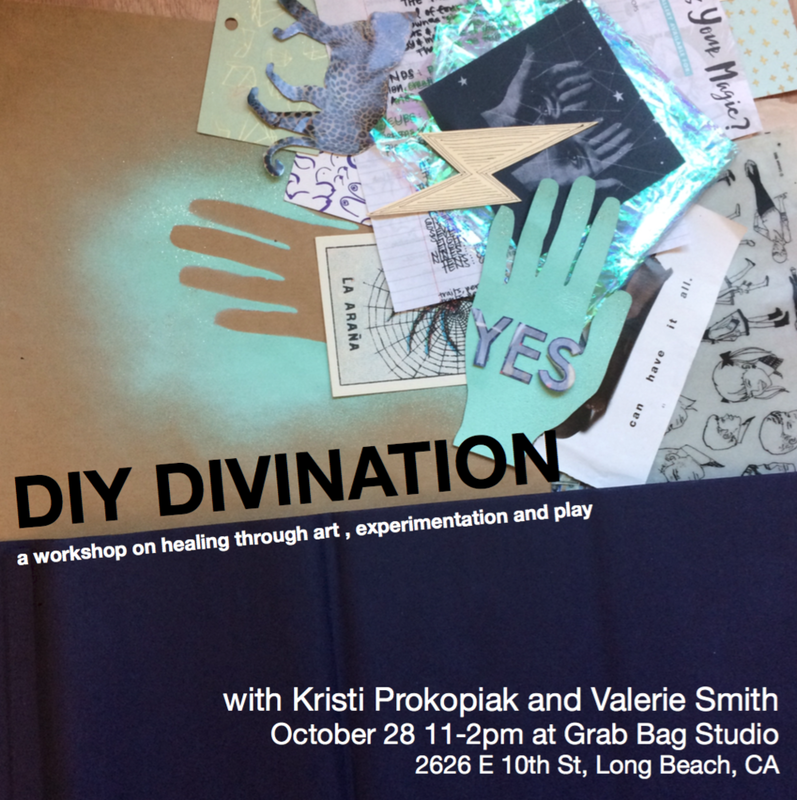 To attend this workshop please RSVP with your name to grabbagstudio@gmail.com! 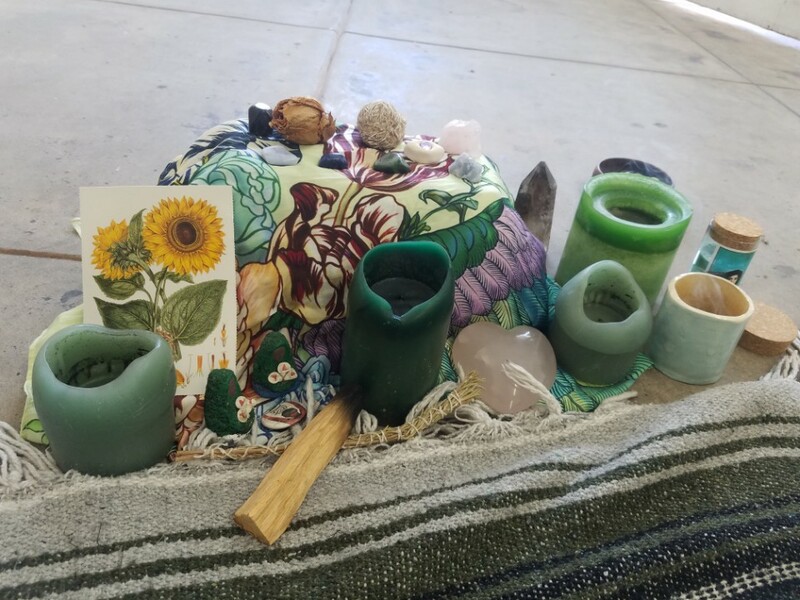 ABOUT THE WORKSHOP: In this workshop led by Valerie Smith and Kristi Prokopiak, we will explore common themes and ideas represented in popular oracle decks and tarot cards. We’ll start with an overview of our favorite decks and concepts, followed by intention setting and a short meditation. Attendees are encouraged to journal their thoughts and doodle images that may have emerged during our sit. The subconscious will guide us to whatever is in our highest and best to create. This process encourages us to follow our intuition, honor our voice and heal through the physical act of making. We will briefly share these ideas with the group and flesh out what we may be called to create. Then we will experiment with techniques to bring these ideas to life. This could look like an individual deck, a series of larger pieces of art, or pretty much anything your subconscious guides you to create! This is an entirely intuitive process, and you are encouraged to utilize whatever supplies that speak to you. We can explore mark making, finger painting, collage and watercolor. There are absolutely no rules to this process! Everyone has their own unique strengths, and our work should reflect what feels good to us. WHAT TO BRING: Students must bring their own materials to create their personalized work. This includes whatever ephemera they are called to work with (magazine clippings, vintage books, wrapping paper, postcards, the possibilities are endless!). We advise you to make copies of irreplaceable items like old photos and letters. Please also bring an adhesive that feels good to you (matte medium, glue stick, rubber cement, etc.) and any other material you like to experiment with! The studio will provide the base material for the cards and basic tools including paint, markers, scissors, and pencils.